Hot Point Heating and Air Conditioning is available 24 hours a day, 7 days a week to give you the most reliable Waukesha County HVAC repair, installation and maintenance services for your home comfort system appliances. 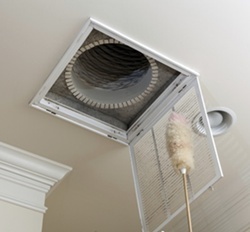 We want you to know how to keep up to date with important maintenance tips for furnaces, air conditioners and water heaters, so you don’t have to spend a fortune replacing the entire system when you need it the most. You will find everything you need right here for simple, do it yourself solutions to common HVAC problems and important information so you know when to call our professional Waukesha heating and cooling technicians. Check back frequently for updates, so you don’t get stuck without hot or cold air at the worst possible moment. Contact the Waukesha heating and cooling technicians from Hot Point Heating and Air Conditioning for the most dependable maintenance, installation and repair services.